No experience in prehospital medicine is complete without an introduction to emergency management and specifically disaster response. EMS personnel have a significant amount of experience in the process of triage, and the ability to rapidly categorize a large number of casualties is essential to an orderly disaster response. In addition, core principles of the ICS (incident command system) are incorporated into daily operations in emergency medical services. Whether serving as a first responder or a hospital based provider, the ability to organize resources efficiently is key to rendering aid during a mass casualty or surge incident. The University of Maryland School of Medicine's rotation in emergency medical services features readings, articles, and classes that serve to familiarize health care providers with disaster operations. 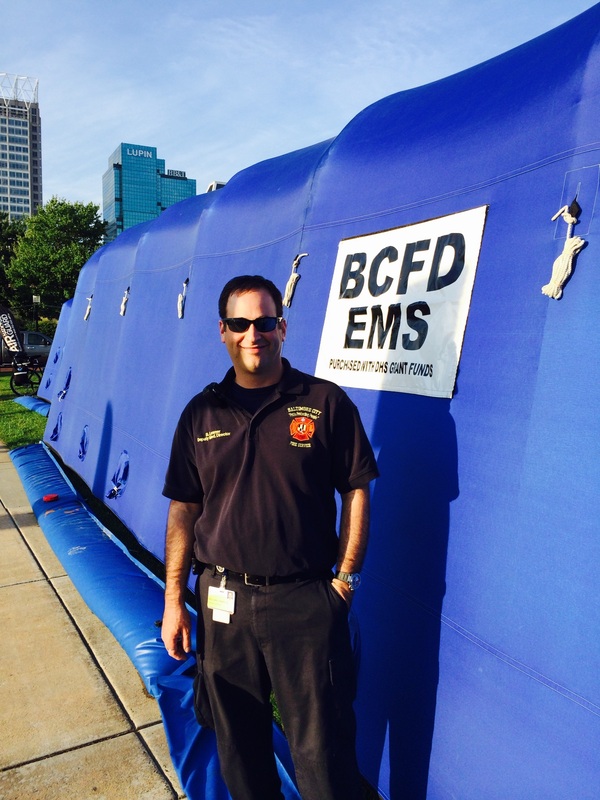 In addition, the first block of the EMS elective is dedicated to emergency management. Residents will collaborate with hospital emergency personnel and have the opportunity to participate in key meetings and disaster drills. The Federal Emergency Management Agency (FEMA) offers free, on-line courses for health providers and members of the public. These courses are specifically designed to familiarize students with key components of the incident command system (ICS). Residents and students are encouraged to complete the ICS 100 and 200 level courses. Several articles and case studies have been selected for review. These readings offer students insight into the "real-world" implementation of disaster preparedness. The didactic curriculum incorporates review articles, policy statements, and provides the resident/medical student with a working knowledge of basic emergency management principles. Though emergency physicians are familiar with the art of triage, or sorting, the process of sorting through multiple casualties is a bit difference. Triage systems serve to identify the most critically ill patients who might benefit from an immediate application of life saving interventions. As opposed to routine clinical practice where a focus on the individual patient is paramount, disaster medicine encourages clinicians to consider all available resources when deciding upon initial interventions. The on-line curriculum reviews existing triage paradigms and state specific protocols.